February 14th is still a week away, but I’ve already received my order of purple hearts from Sjaak’s Organic Chocolates. 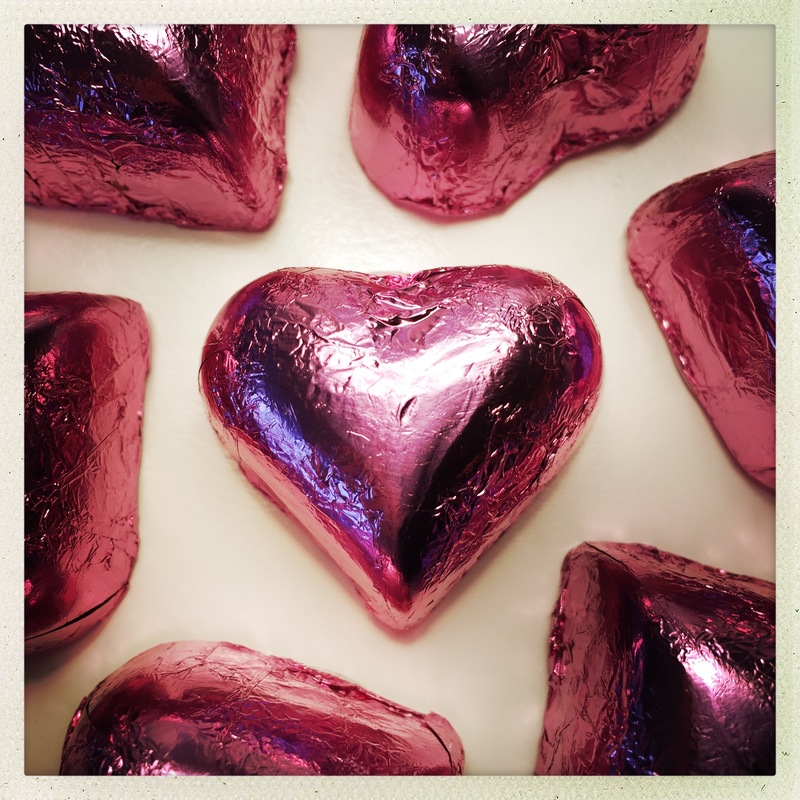 These foil-wrapped confections put the “V” in Valentine’s Day with a vegan truffle center that’s infused with lavender. I’ve written before about the fact that Kirsti and I don’t do subtle when it comes to flavorings, particularly floral ones, and these chocolates don’t disappoint. The lavender is distinct and tastes like the true essence of the herb. Blended with a creamy ganache made from all organic ingredients, including dark chocolate, cashews, almonds, and coconut oil, these dairy-free delights make a thoughtful gift for animal lovers, people with dietary restrictions, and those who simply enjoy singular sweets. Sjaak (Dutch for Jacob) is pronounced like Jacques, the name of the company’s Netherlands-born owner, who is committed to compassion and sustainability through the family’s organic, fair trade, vegan products. Their variety of Valentine offerings includes both Cherry and Raspberry Hearts, but it’s the Lavender that will have you writing purple prose to its flowery flavor. So if you want to give a gift from the heart, don’t just pay it lip service. Order today and stock the Sjaak’s. Lavender Hearts can also be purchased in bulk.